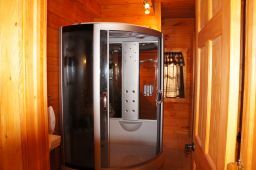 Our Master Bathroom is a full bathroom. 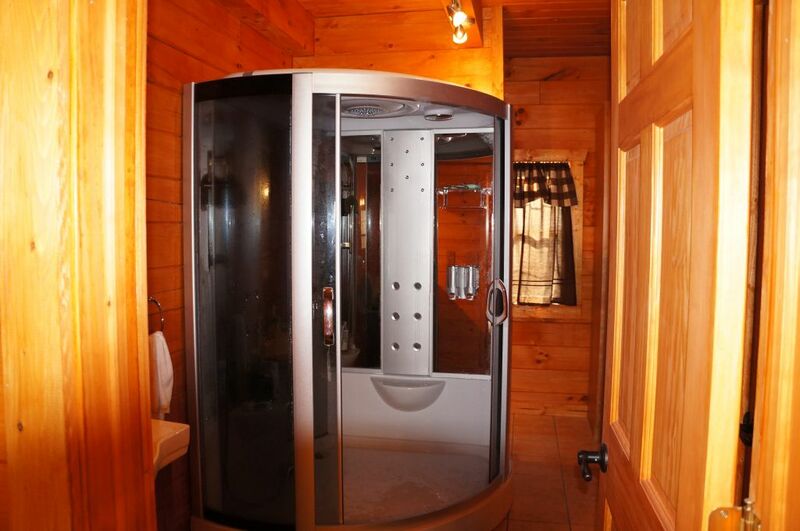 It has a commode, sink, shower, cabinet, and a closet. 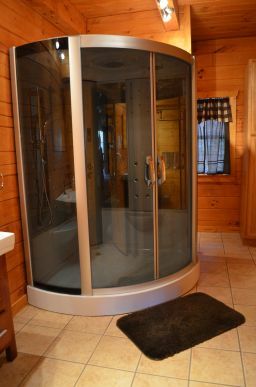 The shower is an over sized shower that has jets for your back, a hand wand, a waterfall nozzle, and has an FM radio in it. Please click on the link to enlarge picture.